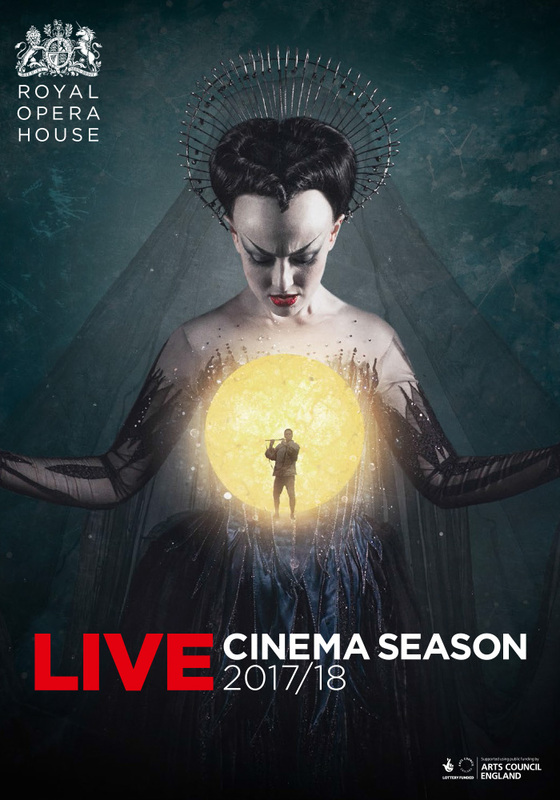 With 12 titles, the Royal Opera House Live Cinema Season 2017/18 is set to thrill audiences in more than 1500 cinemas in over 40 countries. Including some of The Royal Opera and The Royal Ballet’s much-loved classical repertory, the world’s top ballet and opera stars, and four brand new productions, Pannonia Entertainment distributes live satellite broadcasts and recorded shows of performances from the Covent Garden to cinemas across Hungary, Poland and Romania – in cooperation with Trafalgar Releasing Ltd. The Royal Opera kicks-off the ROH Live Cinema Season with Mozart’s fantastical opera The Magic Flute (Wednesday 20 September). Shown for the first time in cinemas audiences will be transported to the land of the Queen of the Night. Following this is a new production of Puccini’s heart-breaking La bohème (Tuesday 3 October) directed by Richard Jones and conducted by Antonio Pappano. Set in the second half of the 19th century, the production brings the heart of Parisian culture to life. Verdi’s Rigoletto (Tuesday 16 January) returns to The Royal Opera with David McVicar’s production highlighting the cruelty and degeneracy at the heart of the court of Mantua. Following the themes of cruelty and devastating heartache, Jonathan Kent’s interpretation of Puccini’s passionate Tosca (Wednesday 7 February) draws on the dangerous turbulence of Rome in 1800. Following the runaway success of Barrie Kosky’s Carmen in Frankfurt, the production comes to the Royal Opera House for a live broadcast on Tuesday 6 March. This exciting interpretation revisits Bizet’s original version of the opera, reimaging the worlds of Opéra comique, revue and vaudeville, by which he was inspired. The final Royal Opera production to be shown in cinemas is Verdi’s Macbeth (Wednesday 4 April). Conducted by Antonio Pappano, Anna Netrebko takes on the role of the manipulative and cunning Lady Macbeth for the first time in Covent Garden in this searing drama. Six productions from The Royal Ballet will also be screened live to cinemas during the 2017/18 Season. First up is the smash-hit Alice’s Adventures in Wonderland (Monday 23 October) by Christopher Wheeldon. The balletic re-telling of Lewis Carroll’s much0loved story is a fantastical feast for the eyes with projections, tap-dancing and colourful costumes. The festive family favourite, The Nutcracker (Tuesday 5 December) returns after reaching over 130,000 worldwide cinema-goers in December 2016 to enthral with snowflakes, the land of sweets and sensational dancing. Following this is Christopher Wheeldon’s Olivier-award winning ballet based on Shakespeare’s The Winter’s Tale (Wednesday 28 February) where family tragedy is heightened by Joby Talbot’s emotive score. The only triple bill of the ROH Live Cinema Season celebrates the centenary year of Leonard Bernstein, with two new pieces by associate choreographers of The Royal Ballet Wayne McGregor and Christopher Wheeldon, with Liam Scarlett’s Age of Anxiety danced to Bernstein’s Symphony No.2 completing the bill. Continuing to tug at the heart-strings, The Royal Ballet performs the epic Manon (Thursday 3 May), the story of a young girl who pays the ultimate price for choosing wealth and riches over true love. The score by Jules Massenet is sure not to leave a dry eye in the cinema. The final performance of the Season is the hotly anticipated new staging of Swan Lake (Tuesday 12 June) by Liam Scarlett. Building on the choreography of Marius Petipa and Lev Ivanov, Liam Scarlett’s interpretation is sure to delight audiences as they see a modern take on arguably the world’s most famous ballet. Julia Jones conducts David McVicar’s spell-binding production of Mozart’s The Magic Flute with a wonderful cast including Roderick Williams as Papageno. Click here for more information about the performance! Puccini’s passionate opera is conducted by Antonio Pappano and stars a superb young cast including Nicole Car, Michael Fabiano and Mariusz Kwiecien, in a new production by Richard Jones. David McVicar’s acclaimed production of Verdi’s potent and tragic opera is conducted by Alexander Joel, with an excellent cast led by Dimitri Platanias, Lucy Crowe and Michael Fabiano. Drama, passion and fabulous music – Puccini’s operatic thriller is one of the great opera experiences. Dan Ettinger conducts a star cast led by Adrianne Pieczonka, Joseph Calleja and Gerald Finley. Verdi’s opera inspired by Shakespeare’s tragedy is conducted by Antonio Pappano, with a magnificent cast including Anna Netrebko, Željko Lučić and Ildebrando D’Arcangelo.